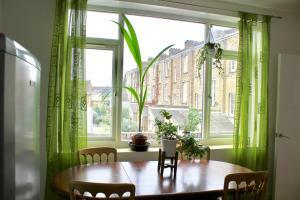 The location was great - very close to the trains and buses, and a Co-op for groceries right down the street. The flat had everything we needed for our family of 5 to stay pretty comfortably for a few days. There is a lovely pub, The Junction, just 10 steps from the front door of the flat that has really good food, some great live music and very friendly, helpful staff. 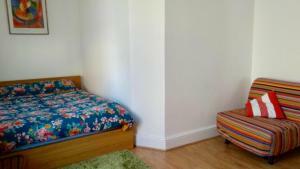 Clean apartment, quiet location, hot water available, towels and shower gel available. In our case it was possible to check-in earlier (very helpful, thanks again), good location, wi-fi signal ok, very close to bus station and to a supermarket. 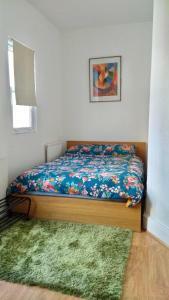 Perfectly suitable for our needs , very clean , slept x4 adults with ease . Alice was quite nice and communicated well. The area was okay, made some nice discoveries, and easy access to public transport. Great little apartment, perfect for what we needed. 2 mins walk from the Hospital. Would definitely recommend. Friendly host, very snug and cosy, perfect location to get to the academy and a great bar below. We liked that the location was half hour bus ride to most places we wanted to visit. The property had everything we needed, is basic but perfect for what we needed. Communication with host was very easy through email and quick reply. Everything we needed, was perfect for us. 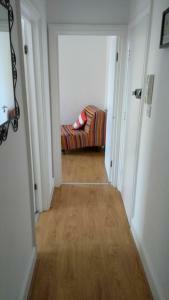 Very well located, small but practical and clean. Very helpful owner. Only 5 minutes walk from Kings Hospital. One of our best sellers in London! 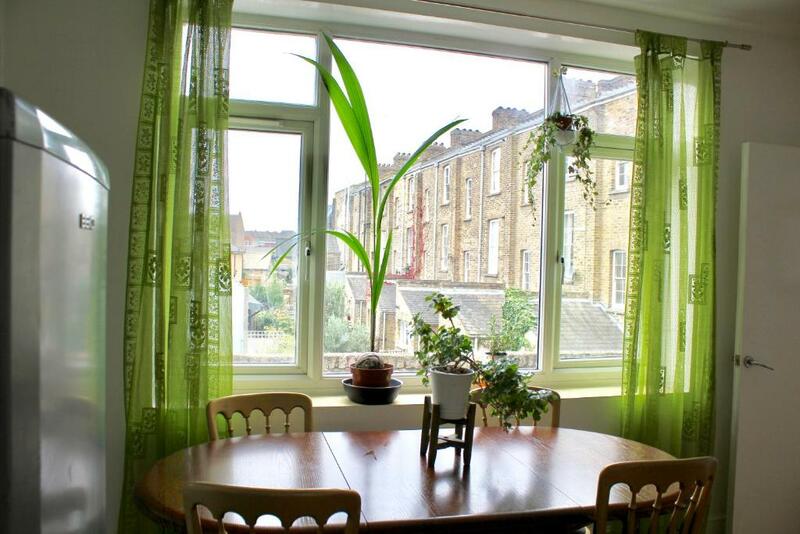 Located within an 18-minute walk of Brixton Academy and 3.2 miles of London Eye in London, Modern and Cosy Flat in Brixton provides accommodations with free WiFi and a kitchen. Houses of Parliament is 3.3 miles from the apartment. 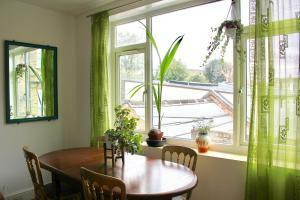 The nearest airport is London City Airport, 11 miles from the property. 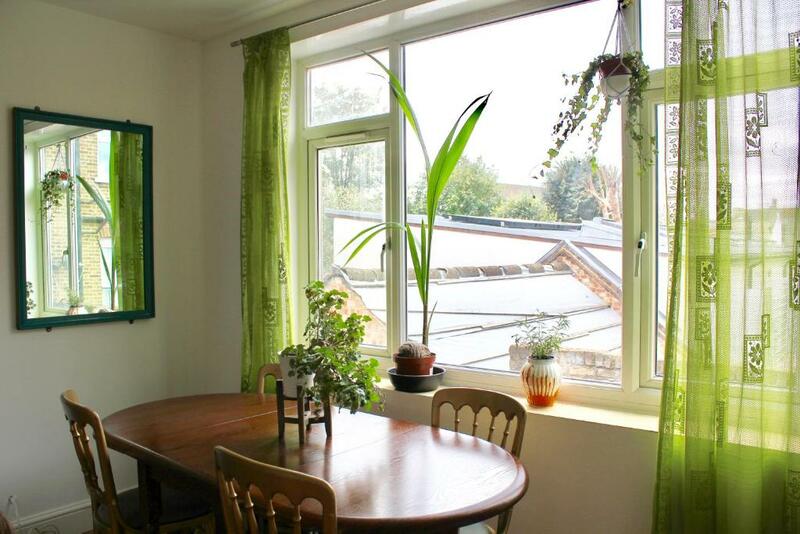 When would you like to stay at Modern and Cosy Flat in Brixton? PLEASE read all of the info before requesting booking. 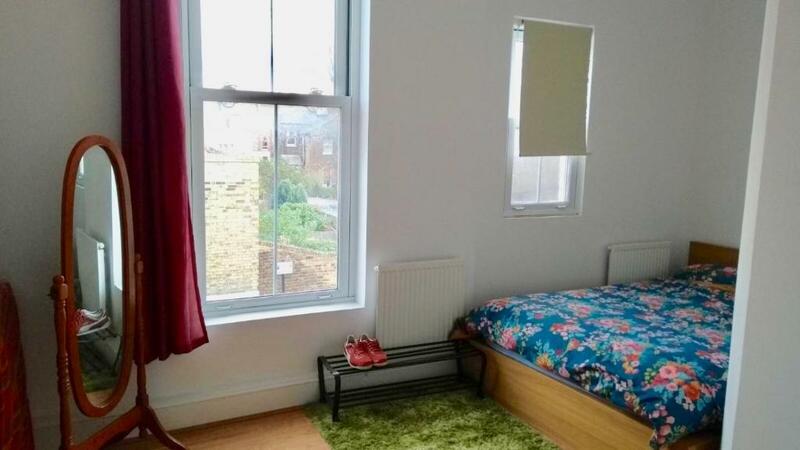 One bedroom flat with big windows in London zone 2, 1 minute walk from Loughborough Junction station, very convenient if you want to move around London, 5 mins by bus to Brixton station. This is a one bedroom flat with high ceiling and large windows, open plan kitchen/living area with double sofa bed, a bathroom with shower/bath and one separate double bedroom with double bed and a single sofa bed. 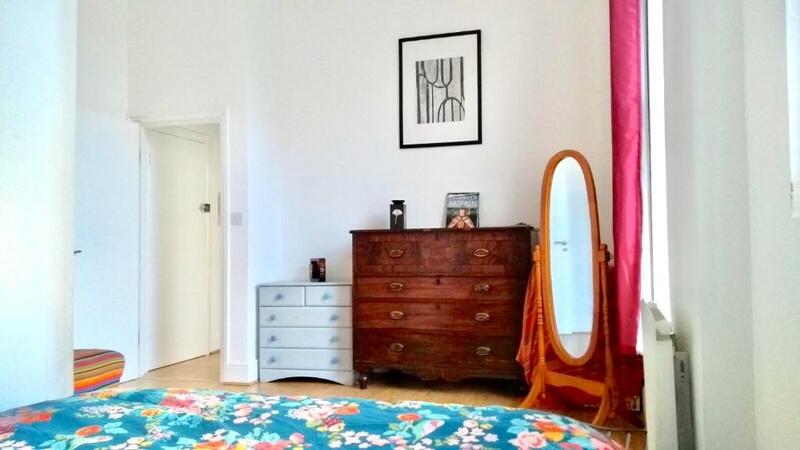 The furniture is mainly vintage as that’s the look we wanted the apartment to have. Welcome to vibrant and trendy Brixton, be sure you won't have to get out of the area to have a good time, there's plenty of things to see and do, for example have a walk to Brixton Village which is a must stop for every London visitors with the market, independent restaurants and pretty shops. There's also the famous Ritzy cinema, the O2 Academy for great concerts, The Electric, Jamm, Hootenanny, The Fridge, to name a few clubs, plenty of markets and groceries stores. Underneath you can find The Junction pub, a relaxed music bar and cafe perfect if you feel like a live music session which runs every weekend or jazz jams on Tuesdays with very nice beers and food. There's also a bar with a cafe attached with comfy sofas if you feel like a coffee :-) Please note the pub is run by my family and all the guests can benefit of a 10% discount at The Junction. A few steps away from the house you can find, among the shops in the area, the co-operative supermarket for your local groceries, 24h Costcutter, a small shop where you can top up your Oyster card and a few minutes walk alway there's a Tesco supermarket as well. 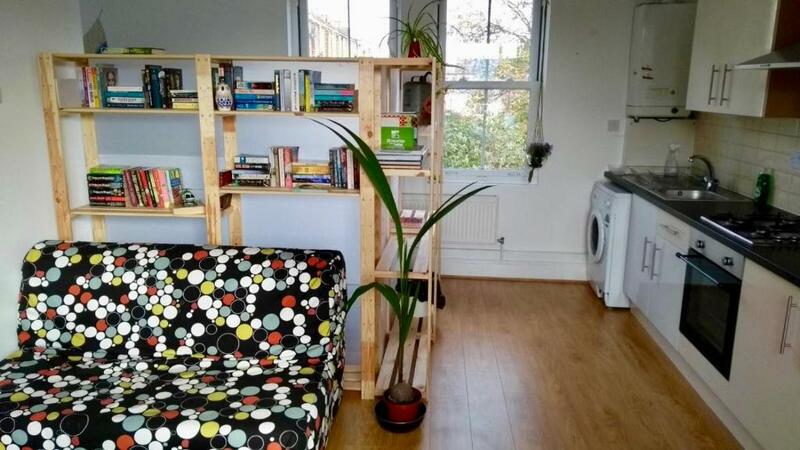 House Rules Modern and Cosy Flat in Brixton takes special requests – add in the next step! The property has a non-strict party policy. Should the maximum number of people per apartment be exceeded without authorization, guests will be charged. Photo ID (passport/driving license) is required at check-in. Late check-in between 20:45 and 23:00 can be accommodated by the property for GBP 20. All requests for late arrival are subject to confirmation by the property. This is a no smoking flat; smoking is only permitted outside the building. Please note the property has a smoke detector inside the property. Guests will be charged if this is not respected. Guests are asked to leave the property as it was found so dishes must be washed and rubbish taken out upon departure. A damage deposit of GBP 150 is required. The host charges this 7 days before arrival. That's about 195.14USD. This will be collected by bank transfer. You should be reimbursed within 7 days of check-out. Your deposit will be refunded in full by bank transfer, subject to an inspection of the property. Please inform Modern and Cosy Flat in Brixton of your expected arrival time in advance. You can use the Special Requests box when booking, or contact the property directly using the contact details in your confirmation. Please bare in mind this list is only being provided because, between the fairly strict list of house rules and £150 deposit, you might be forgiven for thinking you’re walking into a luxury apartment. 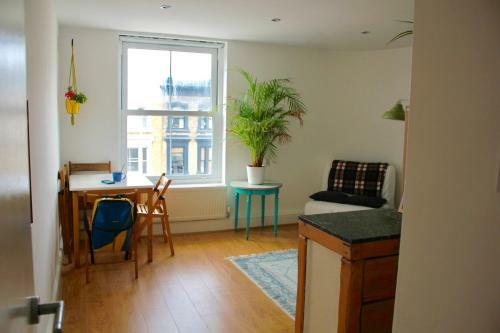 I should re-emphasise that in general the apartment was comfortable. That said: - Sofa bed slats not screwed down - sank a little bit in the morning - could be very easy to break. - Instructions were a little intimidating, even asking you not to wear shoes. - Boiler leaked at 3am. - Fridge *very* noisy and no ice box door so freezes everything you put in the fridge. - Chairs rickety and one had broken side. - Bathroom window stuck in open position so cannot close or lock. - Slight leak in shower door. - Confusion over check in time - it says 3pm on page but excuse was given and moved to 4pm. This seems to be a common complaint. - Sofa bed not at all comfortable as a sofa, although fine as a bed. - Had to badger to get deposit back, got it back in the early hours of the 8th day which was a little frustrating. - Confusing instruction not to touch the boiler *or* thermostat, which was set to zero. Was told by the chap who let us in we could touch the thermostat but not the boiler. The appartment itself was rather cozy, but could have been a lot cleaner. There were stains on the walls and some moisture here and there. Still, we had a good stay. A security deposit should not be necessary for a property like this, however. My phone fell down the back of the bed and when retrieving it found a fair amount of dust and a used pair of ear plugs. Could have been slightly cleaner dust in ledges etc... nothing major at all just little things that could have looked more pleasant to the eye. No tv nice idea but bit quite, we visited as a family would of been better to have some tv or even a radio. Your inability to run a transparent business, adding extra bills to your customers outside what was originally agreed and texting me your client with some stupid message to pack my belongings to leave even when the money I paid you for the three days has not expired because the three days is not out yet. All these fraud is uncalled for. I regret lodging in Modane and Cossy flat in Brixton. Small things - shower leaked in 1 corner, there was 1 tea towel. Window security was a bit risky but easily fixed and maybe a new mattress for the sofa bed. Issues paying the security deposit. Extremely stressful when sorting this out. The roll out sofa bed was broken so we had to put a mattress on the floor to sleep on. The sheets we were provided had stains on them and hair in them. The place was not clean to the standard you would expect when booking through booking.com. It was in quite a noisy location and we did not leave any valuables whilst we were out as it did not feel safe to do so. We are yet to receive our security deposit back when we quite literally just slept there for a few hours and barely touched anything. We left it exactly as we found it. Did not even use their rubbish bin we used our own. We were asked to pay a security deposit through their personal bank account not a company one or anything which I said was unsafe. The host said the they could not host us without the deposit and so we paid it and it got lost. Luckily we paid on a credit card so could get the money back and then had to transfer again to this account. There is absolutely no reason we shouldn't get this money back either. We were not impressed with our stay and the stress leading up to the stay was terrible. Never again will we stay here. Lack of correspondence/communication from the staff/people. Unclear info about address. Broken sockets. Very poor and broken sofa beds. Location good. Space was good. Price was good. The flat was a little further away on foot from Brixton academy than i expected. This was not a fault of the property. More an inaccurate review from another traveller. The cleaner however gave me the details of a great taxi company. The bed was really comfy and the flat was warm and clean. My daughter has sensory issues and loved the fairy lights. They were a nice touch. The neighbourhood was fairly quiet with only traffic noise. Stayed here for a gig at Brixton Academy with friends. The place is above a bar but it wasn't too noisy. Nice and clean with comfy beds. I would return here for a one night stay. Is situated on top of a very noisy pub, till 3:00am in the morning people are shouting. Kids can’t sleep for that & was scared. Beds feels like about to break, it’s not modern at all, all old & rusty furniture. Freezing cold inside, don’t think heating was working at all. Never recommend anyone. Apartment was ok. In pictures apartment looks lot better then what it is. Apartment had very strong damp odour. Furniture was very old, bed without frame very low not very comfortable. No toiletries provided. I think its expensive for a night stay especially £30 for cleaning service charge which is very expensive for a night stay. Would not stay again.